Correct the visual signs of photoaging and prevent future damage with a broad-spectrum UVA/UVB sunscreen in this antioxidant-rich day cream. Apply liberally to face and neck daily, 15 minutes before sun exposure. Suitable for all skin types. Ideal daytime exfoliating moisturiser helps to diminish the appearance of fine lines and wrinkles. It contains three potent antioxidants, including MMP inhibitor Lactobionic Acid, plus broad spectrum sunscreen, to help preserve collagen and maximise protection against oxidative damage. Alpha Hydroxy Acids (AHAs) exfoliate to visibly smooth skin. This concentration of AHAs is ideal even for new users. 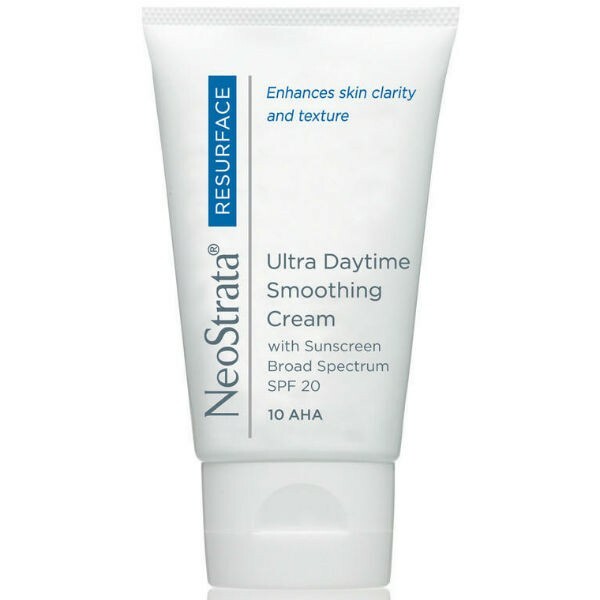 Formulated with Neostrata's amphoteric system to provide gentle absorption.